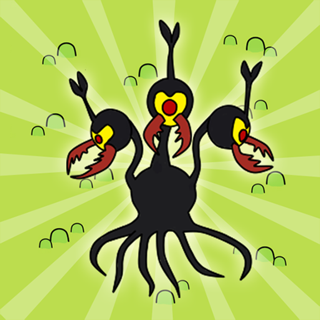 Beatrice the Biologist and Tip-Tok present AMOEBOiD, a fun-filled game about life on a microscope slide. 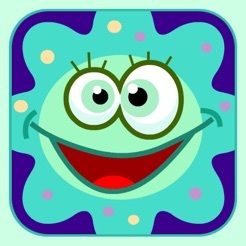 Lead Phoebe the Amoeba through a microscopic world full of food, friends, and foes. 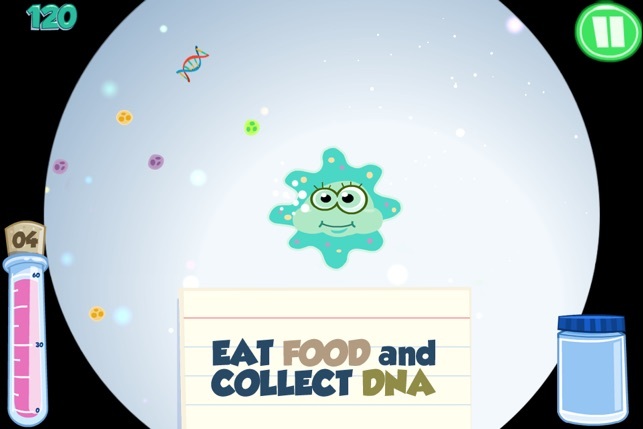 Eat food particles, collect strands of DNA, and meet other microbial pals all while avoiding infection from the nasty viruses. If you get infected 3 times it's game over! 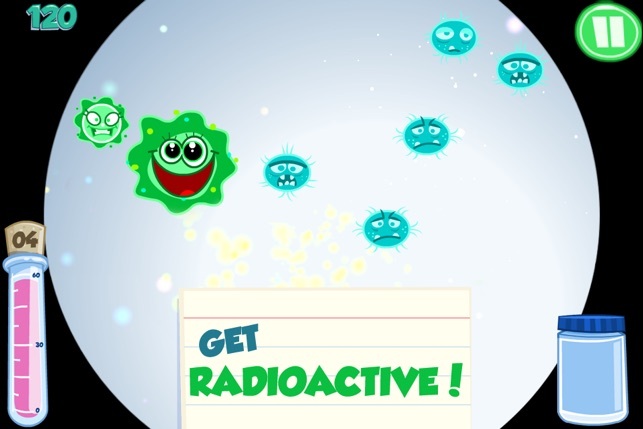 Restore your health by finding "Happy Pills" then go "Radioactive" as the viruses attack in waves! How many levels will you make it through? Visit the gallery to see all the friends you've met along the way. 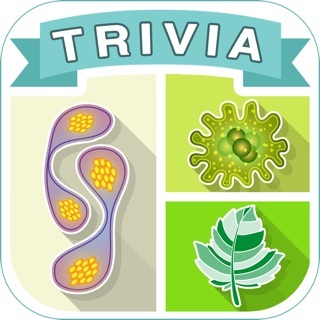 Learn the names of your protist buddies and discover interesting "facts" about them - that's right, Amoeboid is educational as well as fun--science edutainment at its finest! 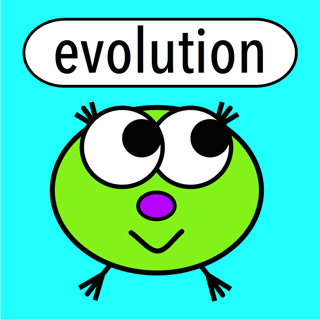 · Easy, medium, and hard gameplay options--great for all ages! 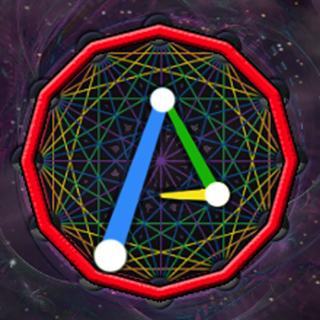 · 60-second levels, each more challenging than the last! 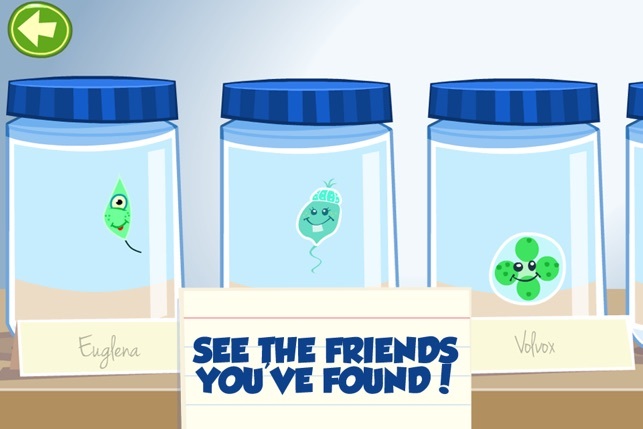 · 8 protist friends to find: coleps, euglena, volvox, vorticella, stentor, aspidisca, paramecium, and amoeba. · Top 10 high score display. 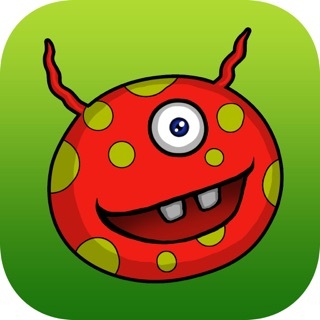 Important Note: This game is designed for all iPad versions, iPhone 4/4S and iPod Touch (4th Gen.) with Retina Display only. It will not run on older iPod or iPhone devices with non-retina displays. This is the first game from Beatrice the Biologist and Tip-Tok and we hope you enjoy it! We welcome your feedback. Please remember to rate, comment, and share with your friends! This is a great "how far can you go" game. It has a difficulty setting that makes it fun for you kids & a harder setting for those that are looking to set high scores. 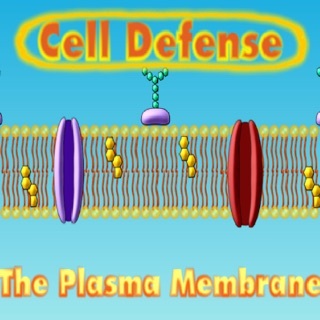 Great animation, music, and challenge. 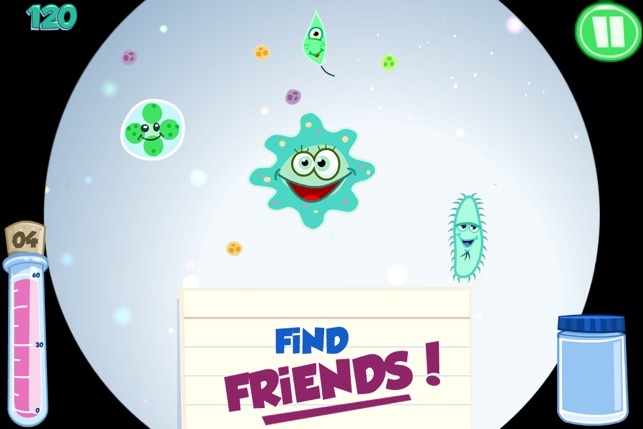 There's also a science education component while collecting Amoeba's friends that's pretty cool! Love it! Very intuitive interface, works whether your right or left handed. Sights, sounds and increasing challenge keeps us both interested. Highly recommended, installed on both my IPhone 4 @ IPad. This game is really nifty and cute. Can a game be cute you might ask? Well check it out and you'll have your affirmative answer. Even losing (i.e. EXPLODING) is fun because you burst into colorful pixely bits!